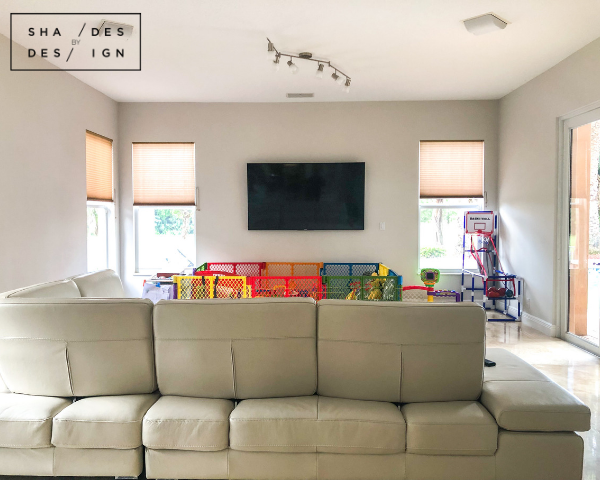 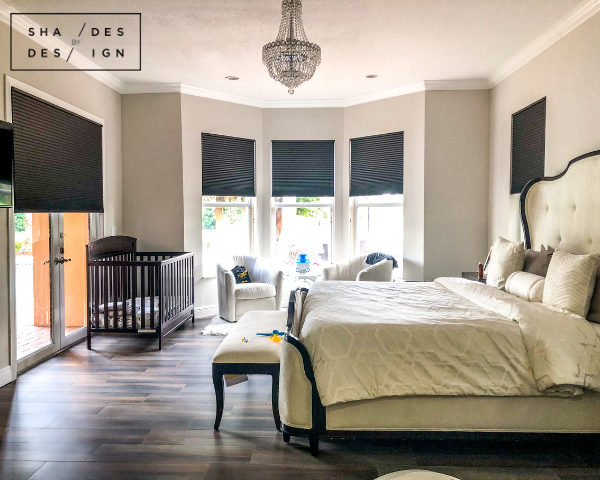 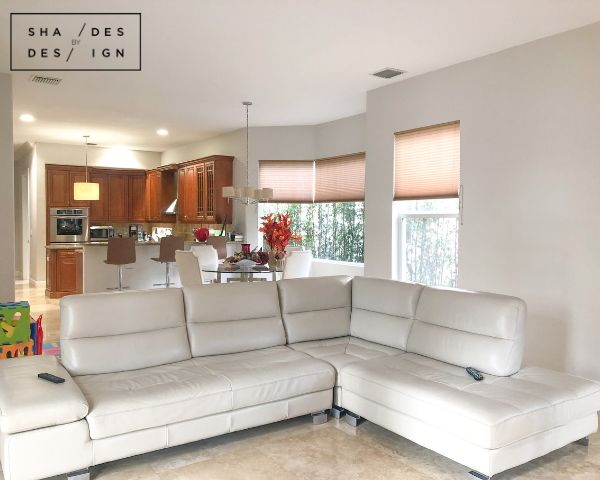 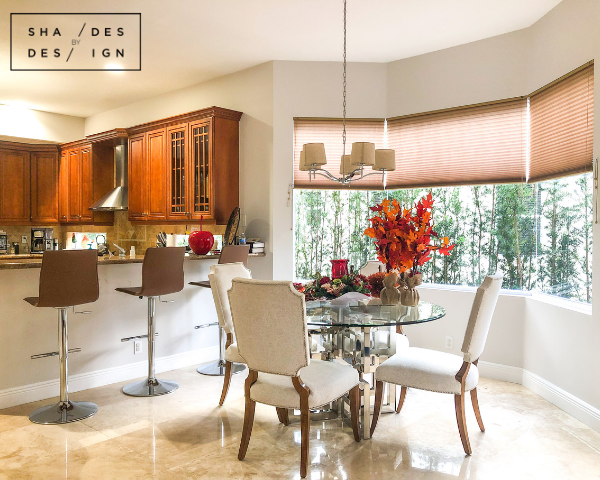 In this beautiful Boca Raton home, it was extremely important to the residents to have a custom window treatment solution that was not only appealing and functional, but child safe as well. 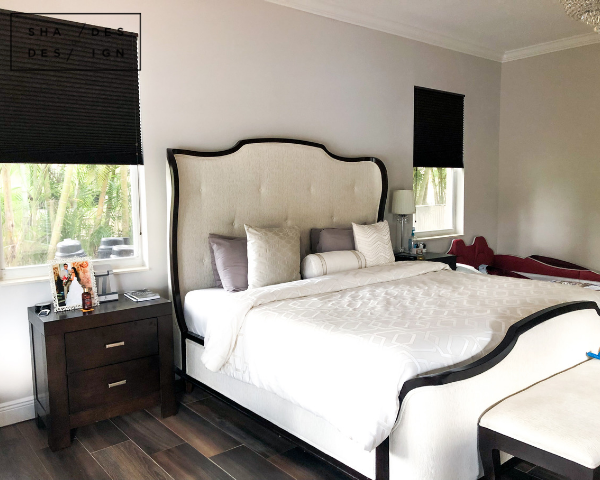 The cellular shades in the bedrooms, unlike the ones in the kitchen and living room, are in a blackout fabric to offer optimal room darkening for more privacy and better sleep. 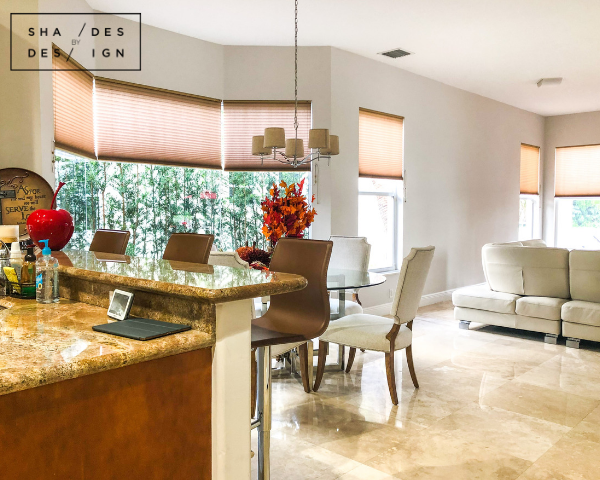 Additional benefits of these cellular shades include enhanced privacy, lighting and glare control, and energy efficiency as they trap air in their pockets, preventing the hot South Florida air from entering the home, and the cool air-conditioned air from escaping.